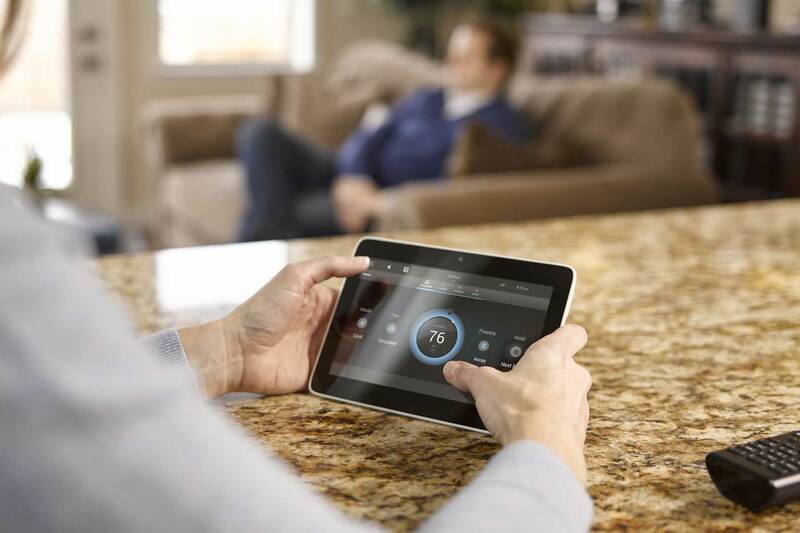 In the past few years, we’ve seen a growing divide in the smart home market, centred around the fundamental differences between mass-market smart devices and professionally installed home automation systems. And as one-off smart devices grow smarter and more feature rich, not to mention more popular, that gulf has only gotten deeper. In short, homeowners have been forced to choose between the autonomy provided by standalone smart devices on the one hand, and the robustness, sophistication, and extensive device support of professional automation systems on the other. When >> Then, a new feature of Control4’s 4Sight subscription services, bridges that gulf and gives homeowners the best of both worlds: the freedom to enhance, edit, and add to the automated events in and around their home, combined with the reliability, extensive device support, and unparalleled customer service that only a professionally installed automation system like Control4 can deliver. So, what is When >> Then, exactly? Simply put, it’s a slick and intuitive browser-based interface that asks homeowners a very simple question: “When X happens, how would you like your smart home to respond?” For example, by navigating just a few simple screens, a homeowner can set straightforward commands like “When I press the top button on the keypad in the kitchen >> Then play my favourite Spotify playlist,” or “When the sun rises >> Then turn on the kitchen lights.” Schedules and triggers can also be set to activate multiple automated events, for example; “When it is 6:00 p.m. >> Then turn on living room lights, lock the front door, and tune the television to channel 246.” With over 10,500 supported third-party consumer electronic devices in the Control4 ecosystem, the options for customisation are nearly limitless. And the personalisation options aren’t merely limited to devices in and around the home; homeowners can also quickly and easily set up triggers that send push notifications to their smart phones as well. Parents might choose to receive a pop-up alert when their kids unlock the front door at the end of the school day, for example, or when the living room TV is turned on. It’s exactly the sort of personalisation that Control4 homeowners and dealers alike have been requesting for quite some time. But getting it right was no easy task. It required a very intuitive, yet flexible interface: one that allowed for rich customisation without the need for the homeowner to have any experience or expertise in programming. Getting it right also meant designing a personalisation environment that allows homeowners to see what sort of programming their dealers have already done for the device or devices in question, but in such a way that they don’t have to worry about undoing, breaking, or interfering with professionally programmed, automated events. Having his or her work protected from hands-on homeowners isn’t the only benefit for Control4 dealers, of course. When >> Then also means they won’t have to deal with frequent, time-consuming truck rolls or service calls from customers who merely want to tweak personal settings here and there. This leaves dealers with more time to focus on the bigger picture: installing and programming new home automation systems and performing major overhauls and upgrades for existing customers. In short, Control4’s new “When >> Then” functionality gives homeowners the ability to tweak their homes to fit their lifestyles and needs, secure in the knowledge that they can fall back on the support and expertise that a Control4 dealer-managed system offers. It represents freedom, but also a safety net. It unlocks personal customisation capabilities for one of the most advanced control solutions on the market, in a way that virtually anyone can comprehend. And best of all, it allows homeowners to tinker and experiment, without fear that they’ll do any lasting harm to their advanced home control and entertainment solution.